Healthcare professionals recommend patients 50 years and older receive a colonoscopy. 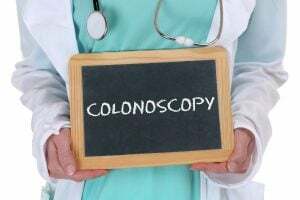 The procedure has very little risks and according to the Centers for Disease Control, a colonoscopy is an effective preventative tool against colon cancer. So, why do so many people avoid taking the test? A number of factors could influence person’s decision. One important reason is a lack of information. You may be surprised at just how many people over 50, have never had a colonoscopy. Most patients rely on their doctor to tell them which test they need to take but patients have to take their own health concerns seriously. Each year, millions of people are diagnosed with some form of cancer, and thousands more have never had a colonoscopy. Individuals over the age of 50, and with a strong family history of cancer should have a colonoscopy, once every five years. People with healthy colons, and no family history of colorectal cancer, can opt to have the procedure done, once every ten years. Although, the procedure is relatively safe, it does pose some health risks. For the most part though, having your colon checked is a lifesaver, and a game changer. Before your procedure you are required to take a bowel prep solution. On the day of the procedure, your colon should be squeaky clean. The procedure is performed using a small, thin, flexible tube or a colonoscope. At the end of the scope is a camera, which your doctor will use to take videos or pictures of any abnormal growths. At this time, your doctor may also biopsy these growths and examine them under a microscope. If the growths are benign, you have nothing to worry about. If the growth reveals a problem, your doctor will go over the results and offer medical advice. Some growths are benign, or non–cancerous, and may need to be removed. Though rare there is potential for regrowth. What Can a Colonoscopy Reveal? A colonoscopy can detect signs of precancerous cells, ulcers, unusual bleeding, and colon polyps. How Can This Procedure Save Your Life? Even if the results reveal nothing at all, the test is an important step to the continuing preventative measures you can take. If you are serious about your health, and want to live a good healthy life, you need to start with a colon exam. A colon exam is the cheapest and easiest way to prevent colorectal cancer. In fact, doctors may recommend an early colonoscopy to those with a family history of cancer, and others who might be at risk for developing colorectal cancer. Our knowledgeable and experienced team has many years of performing colonoscopies and treating other bowel related conditions. We are here to answer any questions you might have. Contact our office today, and make an appointment.